Will it whiten existing dental work? A: You should chose Zoom Whitening beause is is simple and convenient to use and you will see dramatic results in just one visit; also comfortable, relaxing and performed by a dental professional. A: A combination of a 15% hydrogen peroxide based gel and a gas plasma blue light creates a chemistry of teeth whitening that results in smile an average of many times brighter in about an hour! A: Yes. Your gums are protected and only trained dental professionals perform the procedure. It will not soften tooth enamel or existing fillings. Proven safe in independent clinical studies by Universities and researches. A: The long term results depend primarily on the individual. Certain habits, such as the use of tobacco products, drinking lots of coffee, tea, dark soft drinks and infrequent visits to the dentist for regular cleanings, etc., can work against the results. Q: Will it whiten existing dental work? 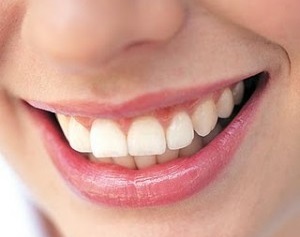 A: The Zoom Whitening treatment has been successful at removing stains from caps, veneers or bonded teeth. However, a whitening procedure in general cannot change the color of the cap, veneers or bonds. We recommend that you discuss your situation with us prior to beginning the treatment. Q: What is the maintenance? A: Regular professional care and touch up whitening kits should help maintain your whiter teeth for years. A: This is a very comfortable process. Some patients have experienced a "dull ache". We recommend taking whatever you normally take for a headache (e.g. Advil or Tylenol). However, if you are sensitive, please consult with us.